Written in Irish Issues: 06/25/13, 12:00:52 by jonathan | Print article | View all categories. Your editorial ‘Testing GM crops’ (Irish Times 11 June) contains several statements which need to be challenged. Firstly, the statement ‘GM crops have not contaminated the world ...’ is not true. Although over 100,000 acres of genetically engineered crops were planted in the EU in 2008, the impact of these plants on health and biodiversity has not been systematically examined. Where are the results of independent and long term surveillance on health and biodiversity? Do we even know what biodiversity we have? Incredibly, there have been no life long studies on the impacts of genetically engineered food on humans. It is also not clear how genetically engineering plants can ’enhance global nutrition’; a technical fix is not sufficient to remedy the complex issues that result in global under nutrition, including just economic practices and fair trading. Similarly, it is difficult to see how a ‘better environmental outcome’ from farming could result from the planting of GM crops. Pests will develop resistance to GM toxins and increased spraying of a specific herbicide has occurred when the plant itself is genetically engineered to be resistant to it. It is also difficult to discuss reductions in pesticide usage when the entire genetically engineered Bt plant can itself be considered an insecticide. Finally,the argument that as we already import GM animal feed, Ireland is ‘not GM free’ is misleading. The use of GM animal feed is worrying and must not be used as an excuse to go further down this road. Bord Bia's 'Pathways for growth' report (2011) acknowledges the consumers wish for clean green food. 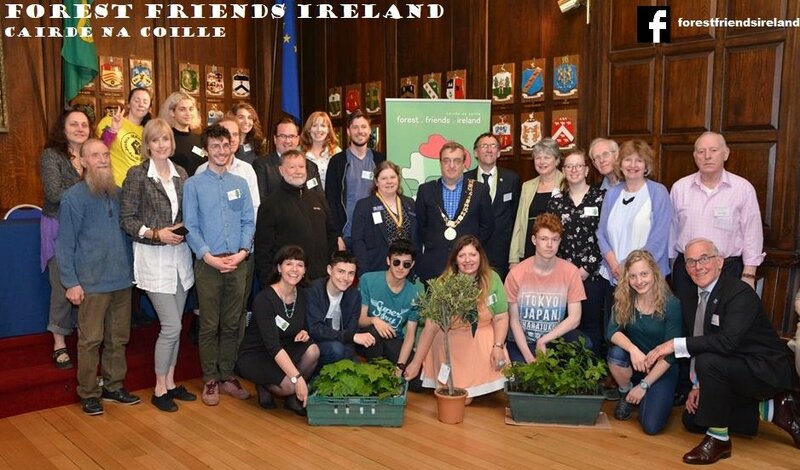 Producing non GM animal food in Ireland and stopping the growing of GM crops would provide Ireland, with its island status, an opportunity to celebrate what is truly green. Note: Dr. Cullen has said that the word 'mammals' is more appropriate than 'humans' in the first paragraph of the letter.